Dumps per battery charge will vary (Avg 5-6 Dumps). 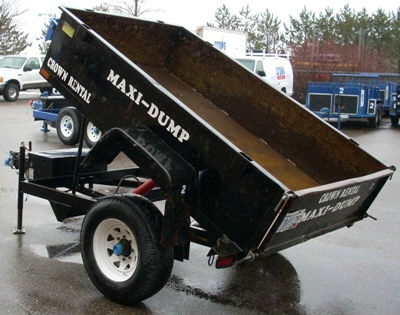 Dumps are based on load size and or Material. * Please call us with any questions about our trailer dump single axle 2000lb rentals in Burnsville MN, Rosemount MN, Apple Valley, Minneapolis, St Paul, Twin Cities, South Metro,and Dakota County.